The Bahá'í Faith is a monotheistic religion founded by Bahá'u'lláh in nineteenth-century Persia, now known as Iran. The Bahá'í Faith emphasizes the spiritual unity of all humankind. There are an estimated five to six million Bahá'ís around the world in more than 200 countries and territories. That makes it the next largest religion just after Judaism. And it seems to be growing relatively quickly. The religion is second only to Christianity in terms of the number of countries that have adherents. Bahá'í teachings emphasize the underlying unity of the major world religions. Spiritual history is seen to have unfolded through a series of divine messengers, each of whom established a religion that was suited to the needs of the time and the capacity of the people. These messengers have included Abraham, Krishna, Buddha, Jesus, Muhammad and others, including most recently Bahá'u'lláh. In Bahá'í belief, each messenger taught of the next step, and Bahá'u'lláh's life and teachings fulfill the end-time promises of previous scriptures. Humanity is understood to be involved in a process of collective evolution, and the need of the present time is for the gradual establishment of peace, justice and unity on a global scale. The word "Bahá’í" is used either as an adjective to refer to the Bahá'í Faith or as a term for a follower of Bahá'u'lláh, and the word is not a noun meaning the religion as a whole. It is derived from the Arabic Bahá’, meaning "glory" or "splendor". The term "Bahaism" (or "Baha'ism") has been used in the past, but is fading from use. "Throughout history, God has revealed Himself to humanity through a series of divine Messengers, whose teachings guide and educate us and provide the basis for the advancement of human society. These Messengers have included Abraham, Krishna, Zoroaster, Moses, Buddha, Jesus, and Muhammad. Their religions come from the same Source and are in essence successive chapters of one religion from God. Bahá'u'lláh said, “The earth is but one country and mankind its citizens,” and that, as foretold in all the sacred scriptures of the past, now is the time for humanity to live in unity. Founded more than a century and a half ago, the Bahá'í Faith has spread around the globe. Members of the Bahá'í Faith live in more than 100,000 localities and come from nearly every nation, ethnic group, culture, profession, and social or economic background." The Bahá'í Faith is the only world religion whose teachings and writing embrace without question the fundamental equality of men and women. That may be a bit surprising considering the religion started in the heart of Islamic Persia (Iran) where woman have little equality. At least 98% of the adherents of the Babi & Baha'i faiths belong to the same church/denomination/religious body, the Baha'i World Faith (or simply "Baha'i Faith"). 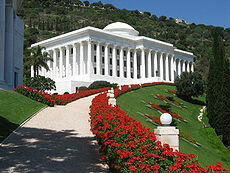 The headquarters are in Haifa, Israel. One might think that this should make Baha'i records fairly straightforward and easily obtainable. But statistical practices differ in each country and figures are not always released to the public. Most recent published estimates of the world Baha'i population are about 6.5 million. This is the figure provided in current Baha'i publications. A recent, updated estimate in the 1998 Encyclopedia Britannica is reportedly 7.67 million, higher than any Baha'i-provided figure we have seen. The accuracy of all of these figures is difficult to determine, and the organization does not provide a breakdown of membership data for each country. All that can be said is it seems to be growing. At local, regional, and national levels, Bahá'ís elect members to nine-person Spiritual Assemblies, which run the affairs of the religion. There are also appointed individuals working at various levels, including locally and internationally, which perform the function of propagating the teachings and protecting the community. The latter do not serve as clergy, which the Bahá'í Faith does not have. The Universal House of Justice, first elected in 1963, remains the successor and supreme governing body of the Bahá'í Faith, and its 9 members are elected every five years by the members of all National Spiritual Assemblies. Any male Bahá'í, 21 years or older, is eligible to be elected to the Universal House of Justice; all other positions are open to male and female Bahá'ís. Bahá'í history is often traced through a sequence of leaders, beginning with the Báb's May 23, 1844 declaration in Shiraz, Iran, and ultimately resting on an administrative order established by the central figures of the religion. The religion was mostly isolated to the Persian and Ottoman empires until after the death of Bahá'u'lláh in 1892, at which time he had followers in thirteen countries of Asia and Africa. Under the leadership of his son, `Abdu'l-Bahá, the religion gained a footing in Europe and America, and was consolidated in Iran, where it still suffers intense persecution. After the death of `Abdu'l-Bahá in 1921, the leadership of the Bahá'í community entered a new phase, evolving from that of a single individual to an administrative order with a system of both elected bodies and appointed individuals. 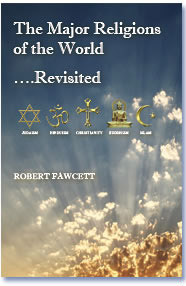 Sources: Wikipedia, World Religions Third Edition (The Idiots Guide), Adherants.com, and the Bahá'í website.